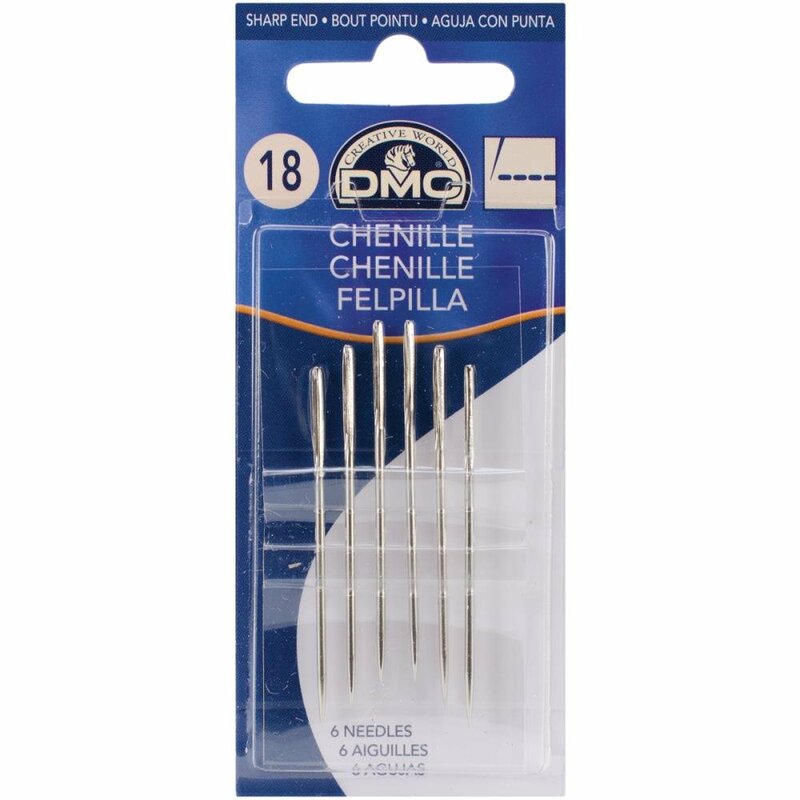 Chenille needles are sharp pointed and long eyed like embroidery needles but run only in the upper size range like tapestry needles. They are slightly shorter than embroidery needles, and the longer eye allows multiple strands of some threads to slip through more easily. Use for ribbon embroidery.